The Moral of the Story is... Take your Time. 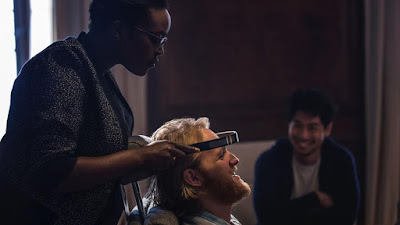 The newest season of the sci-fi horror anthology series Black Mirror premiered on Netflix on October 21. Fans of the show are familiar with its dark speculative fiction and psychological twists that take The Twilight Zone and turn it up to 11. Season 3, the longest season so far, packs an enormous punch. Its 6 episodes deliver the most stomach-churning, thought-provoking, tear-jerking storylines yet. In lieu of a binge session, I recommend stopping between each episode to have a warm drink and a snack, maybe hug a loved one. Seriously, do not binge watch this show, this season is a tasting plate of human misery. Eat too fast, and your soul will get a stomachache. To carry on with that metaphor, each episode has its own distinct flavor, and deserves to be rated separately for it. So, read on for a (spoiler-free) review of each episode, and the season as a whole. “I have to play the numbers game” is a motto of sorts for Lacie Pound, the main character of the story that kicks off the season. The episode sets its story of social climbing in a world where one’s social and economic status is determined by their ranking on social media. It’s a meritocracy where politeness and popularity are king, where the smallest slip-up could cause others to vote you down and cost you your job, your house, and your future. Bryce Dallas Howard takes on the role fully, providing a polished veneer to Lacie at the start of the episode, all forced smiles, impeccable outfits, and fake laughter. Her work on the role is captivating, detailed, and, when it comes to the final stretch of Lacie’s path, Howard unravels her like a beautiful disaster. The ending is not happy by any means, but it leaves a hopeful, strangely satisfying aftertaste. With a story that is not so dark as to depress, but just dark enough to intrigue the audience, Nosedive is the perfect first episode. system hardwired to your brainstem? What could go wrong? Like most others in the series, this episode deals with a technology that doesn’t seem terribly far away in terms of achievability. Here, we see the potential future of virtual reality gaming, and what can happen to our psyche when the line is blurred between the real and the simulated. A drifter of a man, played by Wyatt Russell, has left home in order to travel the world. While abroad, he runs out of money, and agrees to take part in the trial of a new augmented reality video game in order to make some extra cash to buy his plane ticket home to the US. The game, he is told, will adapt to his brain, and figure out what it needs to do in order to scare him the most. What follows is genuine psychological horror, marrying the sci-fi elements of artificial intelligence with the classic horror feel of a haunted house. 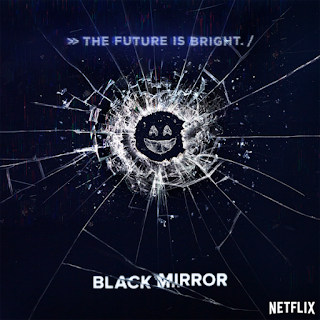 This is the most overtly frightening episode of the season, packed with jump scares and extreme body horror as well as the usual existential terror that Black Mirror is known for. Just when you think it can’t get any scarier, the episode seems to adapt just like its fictional video game system. Don’t watch this one too late at night, or you might start to think you’re seeing things too. You do NOT look like Kevin Bacon. Much like the Season Two episode White Bear, Shut up and Dance is an intense slow burn to a gut punch ending that forces the audience to question our notion of poetic justice, and how the extreme perversion of justice can quickly turn into a crime as bad as the one being punished. The episode, though long, is one of the tensest, and keeping your heart rate up so consistently that watching it should qualify as a cardio workout. 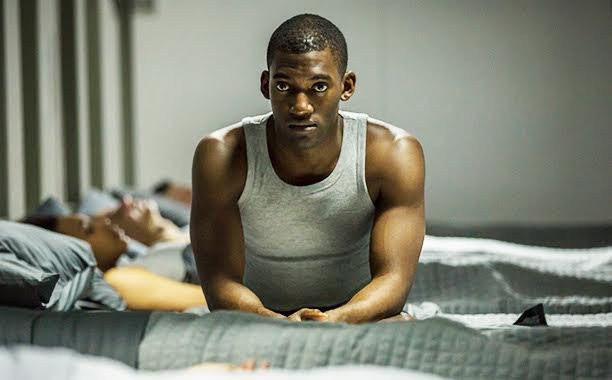 In Shut up and Dance, a young man and several other strangers are blackmailed by a faceless entity that communicates via their electronic devices. Each victim is forced to carry out a series of tasks in order to keep their secrets quiet. The acts they are forced to commit increase in severity of consequence, and in cruelty from the force pulling the strings. Our protagonist, Kenny, is likeable up until the very end, due largely to Alex Lawther’s nuanced, vulnerable performance. All of that likeability, however, means nothing and gets him nowhere. The ending is one of the bleakest this season, and, for Black Mirror, that’s really saying something. I'll stop crying if YOU stop crying first! The critical darling of Season 3, this is officially the only episode that won’t make you need a shower hot enough to wash away the evils of mankind. You’ll cry, oh you will cry, but it’s a good cry. 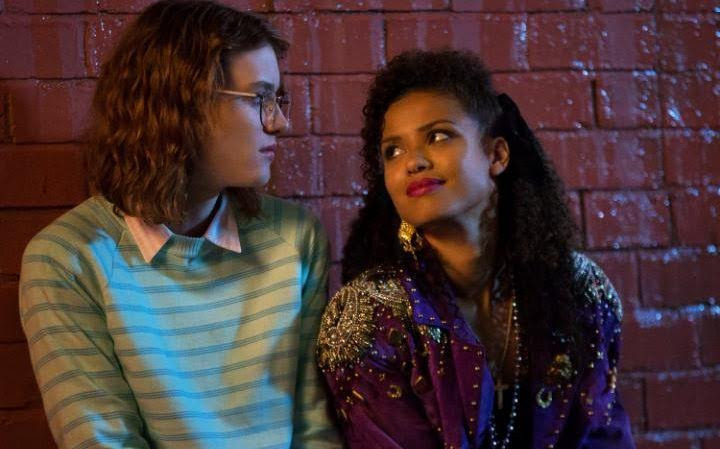 San Junipero is special enough to be the only Black Mirror episode that highlights the good that can come from technological advances, and the human capacity for love, kindness, and forgiveness. Falling about halfway through the season, its nostalgic music, saturated colors, and comforting message provide a welcome reprieve from the oppressive darkness of Playtest and Shut up and Dance. The story of San Junipero follows a pair of young women falling in love and navigating their lives in the titular seaside town, which seems to exist outside the confines of space, time, and traditional logic. Both lead actresses are outstanding, and their work, combined with the unique story and expert writing, crafts a futuristic love story where eternity is very real and death is only the beginning. You’ll never listen to “Heaven is a Place on Earth” the same way again. This is a sign something is really wrong with your implant. This episode, following a solider (Malachi Kirby) on a mission to exterminate monsters in an unspecified country, is one of the most upsetting to watch so far. Kirby performs his role beautifully, which makes his trajectory all the more tragic as he goes from a patriot to a shell of a man who questions everything he has ever known to be true. By showing us the story through the soldier’s eyes, Men Against Fire manages to put us in the shoes of those who are “just following orders,” and draws unsettling parallels to the actions of the Nazi army in World War II. Not only can our protagonist not trust what he is experiencing, the audience cannot trust it either. This is a gritty story, about war and what it takes to be the victor, asking: is ignorance really bliss? The episode’s final shot is its haunting crown jewel, and will make you feel just as heartbroken as you do horrified. No one wants to be in this courtroom. This episode is arguably the weakest in the season’s lineup, if only because it is so similar in tone to fare from Seasons One and Two. However, the episode’s pursuit is noble, and it comments on the anonymity of online discourse and the ease with which we sling venom on social networks with zero expectation of consequence. It asks the question: what if our online behavior had life or death ramifications? Would we still wish death upon a famous stranger? This is an interesting question to pose, and the episode makes a valiant effort to explore the concept, but something about it just falls flat. It might be the lack of sympathetic characterization, the somewhat clumsy twists and turns, or the anticlimactic linking of a twitter hashtag to "trending" celebrity deaths. Whatever it is, the episode is certainly not bad, but certainly not as good as the ones preceding it. 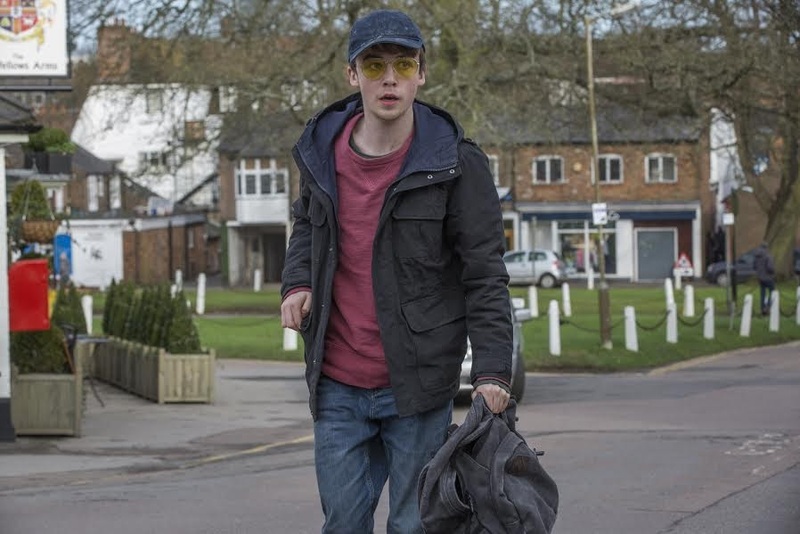 In any other series, Hated in the Nation might be a standout piece of storytelling, but as a wrap up, it makes for a somewhat underwhelming end to an overall impeccably executed season of television. Have YOU stepped through the Black Mirror?